You are telling me I can pull one packing cube out from my backpack and all my tank tops and t-shirts will be in there? No more taking everything out to find that one pair of socks that has magically worked it's way down to the bottom of my backpack? Mind blown. As of a few weeks ago I had never heard of packing cubes. I mean, I have heard of putting your clothes in old H&M bags but packing cubes, no. Naturally, I decided even though they seemed to be the rage (my mom has a set) I didn't think I needed them because, honestly, I didn't want to buy them. After thinking about packing and my backpack, which has a lower sleeping bag compartment so my clothes that are packed in the top section seem to always fall down to the bottom section, I decided to go to REI and just look. Well, $38 and three Eagle Creek full size packing cubes later I am a happy camper packer. 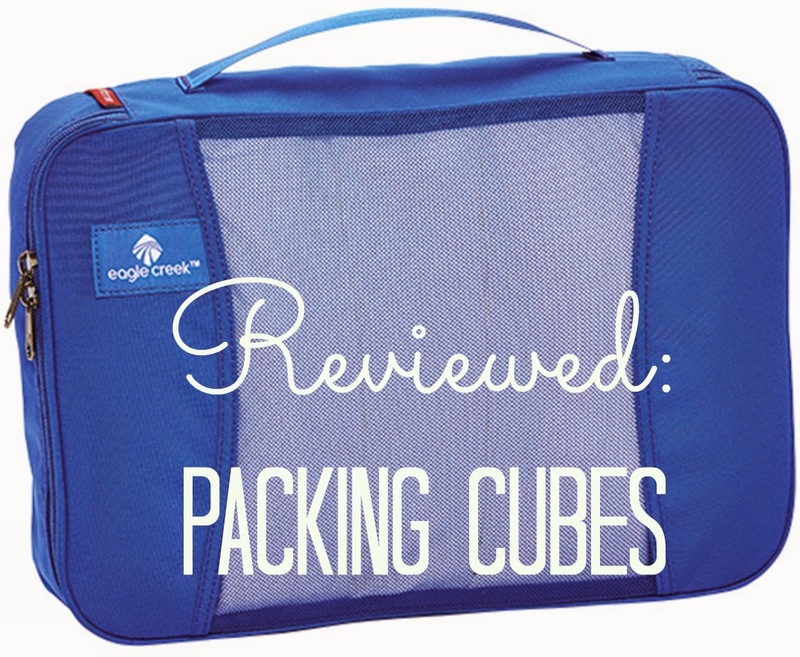 The Eagle Creak packing cubes are light weight, have see through mesh, come in royal blue and a price tag I can afford. I find the body of the packing cube easy to use as the sides stand up while I roll, stack and zip. At first I found it annoying that there was not a set of three for sale at REI but I quickly decided I did not need a packing cube for my undies, a mesh bag will do just fine for those. So the abilty to buy the packing cubes individually turned out to be just what I wanted. I decided on three full size packing cubes. Watch out disorganization, I have found a fix.